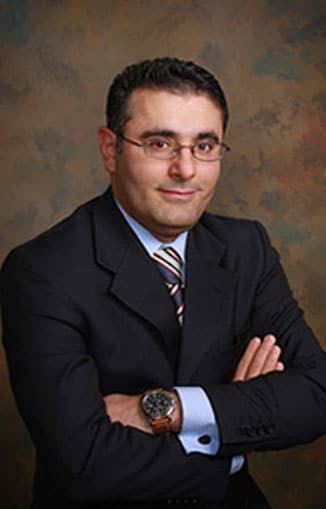 Dr. Shafizadeh’s training in and affiliation with such major academic medical centers as Mount Sinai Medical Center, Beth Israel Medical Center and Montefiore Medical Center, all located in New York City which has always been at the forefront of medical research and breakthroughs, allow him to remain on the cutting edge of the field of Urology and to quickly adopt the most advanced surgical and minimally invasive treatments into his practice. Dr. Shafizadeh’s educational background in physics and engineering, a creative mind, passion for research and vast knowledge and skill in the field of urology not only as a scientist but also as a clinician, have provided him with a unique opportunity to be involved with various types of innovative research studies and technological developments, both in an advisory capacity as well as lead researcher. In particular, Dr. Shafizadeh’s affiliation and work with Brookhaven National Laboratory for the past fifteen years has allowed him to implement his urological innovations and ideas into physical and technological realities. Brookhaven National Laboratory is one of the most advanced government run research laboratories in the United States today. In fact, currently, Dr. Shafizadeh and his research team at Brookhaven are actively working on a revolutionary project for the treatment of Prostate Cancer, a leading cause of cancer death in men today. The study holds great promise and its results may forever revolutionize the way organ cancers are treated.